Small towns and agricultural communities offer opportunities that larger cities rarely do, but it can be difficult to find financing to purchase rural property; lenders may hesitate to lend money because the rural property market is less certain than the urban market. While private financing through traditional bank loans is sometimes available, you may also qualify for federal financing programs established by the federal government specifically to help rural purchasers. Some programs don’t even require a down payment. No matter how long you have been a customer at your bank or how high your credit score, you may not qualify for financing for your rural property if you do not meet your bank’s minimum requirements. For example, Farm Loan Center only offers rural home loans for properties valued at over $100,000 and requires at least a 5 percent down payment. In addition to rural home loans, this lender offers different types of loans with different qualification requirements for hobby farm and rural building sites. Generally, property with a house on it is considered a better risk from a lender’s viewpoint. The U.S. Department of Agriculture’s Rural Development program guaranteed loans for home purchases and businesses. Under these programs, the USDA does not actually lend the money, but instead guarantees the loan so that your lender does not assume all the risk of financing your loan. If you default on the loan, the USDA would reimburse the lender for unpaid expenses. For single family home loans guaranteed by USDA, you must purchase a home in an eligible rural area and have a household income lower than the limits established by USDA. These loans offer 100 percent financing and acceptance for nontraditional credit histories, but you must pay a guarantee fee that you can wrap into the loan amount. 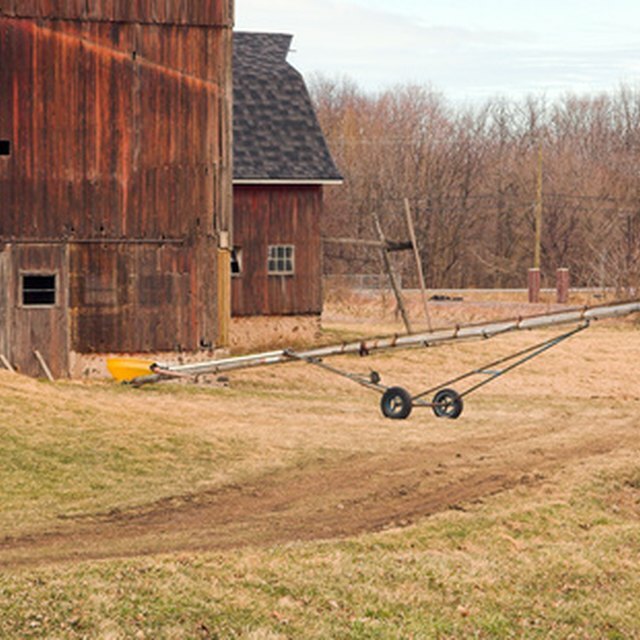 According to the USDA, the purpose of the business program is to improve the economy of rural communities by bolstering the existing private credit structure. These loans can only be used for businesses that will provide employment, improve the economy or environment of the area, promote water conservation or reduce reliance on nonrenewable energy sources. The USDA’s Farm Service Agency provides guarantees for lenders to make loans to farmers and ranchers who may not meet lenders’ traditional underwriting criteria. These guaranteed loans may be available for you to purchase agricultural property even if you do not otherwise qualify for private financing. Through these loans, the Farm Service Agency guarantees up to 95 percent of the loss of principal and interest on a loan. You and your lender negotiate the interest rate and terms of the loan, but your lender arranges for the guarantee. USDA also provides direct loans, meaning the loan applicant obtains the money directly from USDA rather than getting a USDA-backed loan from a private lender. These loans have more restrictive requirements, however. To apply, you must have a low or very low income; your income must be below 80 percent of you area’s median income. You must also be without adequate housing and unable to obtain credit elsewhere. However, you must have a reasonable credit history and the ability to afford mortgage payments. These loans are offered over terms of up to 33 years or 38 years for those who cannot afford 33-year terms.